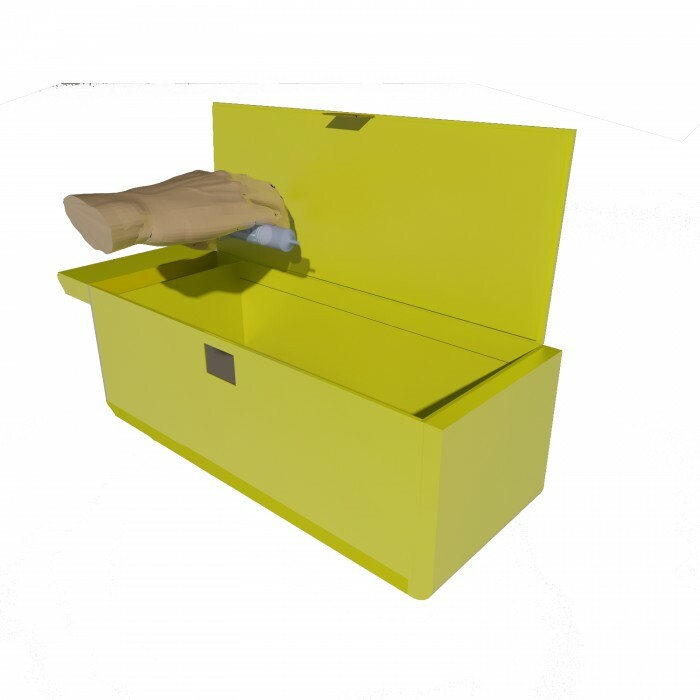 A container into which used sharps can be deposited immediately following their use and carried to a second container into which the used sharps can be dumped for subsequent disposal without having to directly handle the sharps following their use. 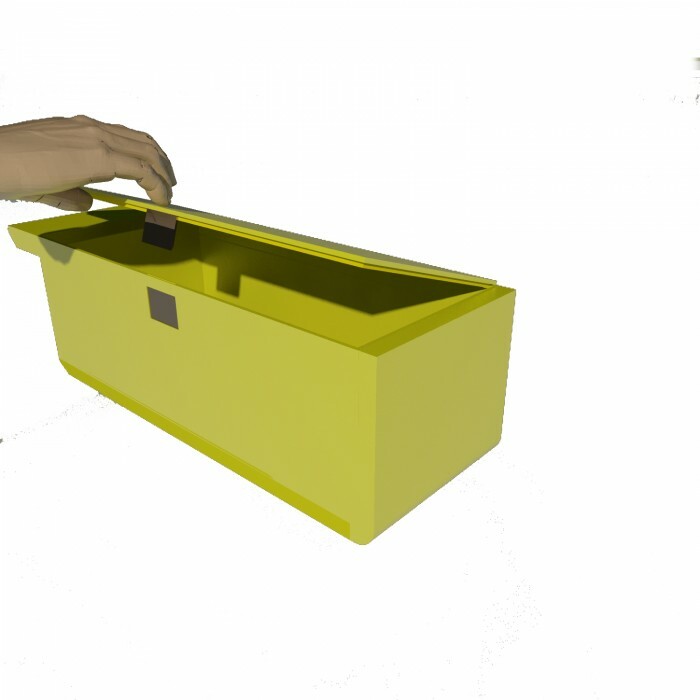 A top wall is normally latched closed and is opened to deposit used sharps into the container. 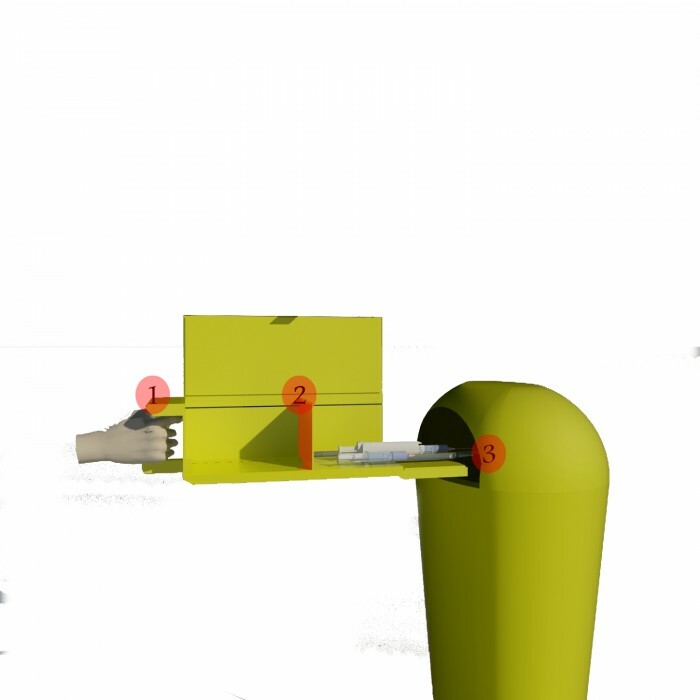 A normally closed end wall is opened so that the used sharps can be dumped from the container. 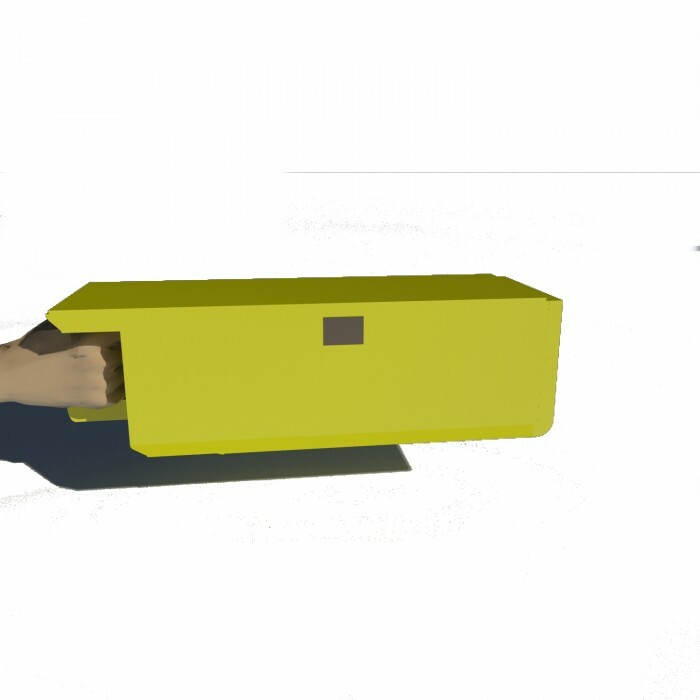 The container has a pistol-type grip for carrying it, and in a first embodiment a rearwardly biased pusher is slidably mounted in the container and moved forwardly by depressing a trigger on the grip. In a second embodiment, the pusher is biased forwardly and is latched in a rearward position. The trigger is connected with the latch to release it so the pusher can move forwardly.rnSummary:rnHealthcare providers may get infectious diseases such as AIDS, hepatitis B & C which threaten their lives. 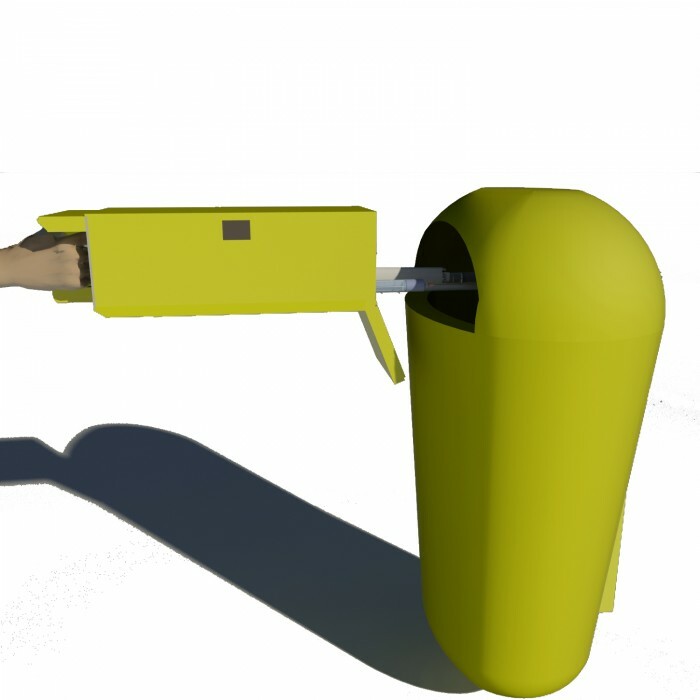 therefore, solving this issue is needed through a small box which saves them from touching used needles again especially during disposal time. 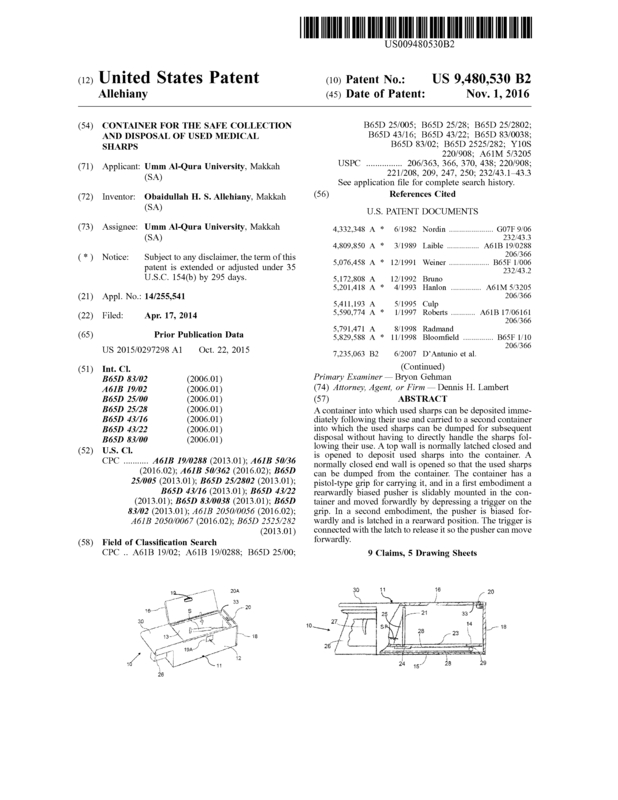 Page created at 2019-04-25 18:01:04, Patent Auction Time.